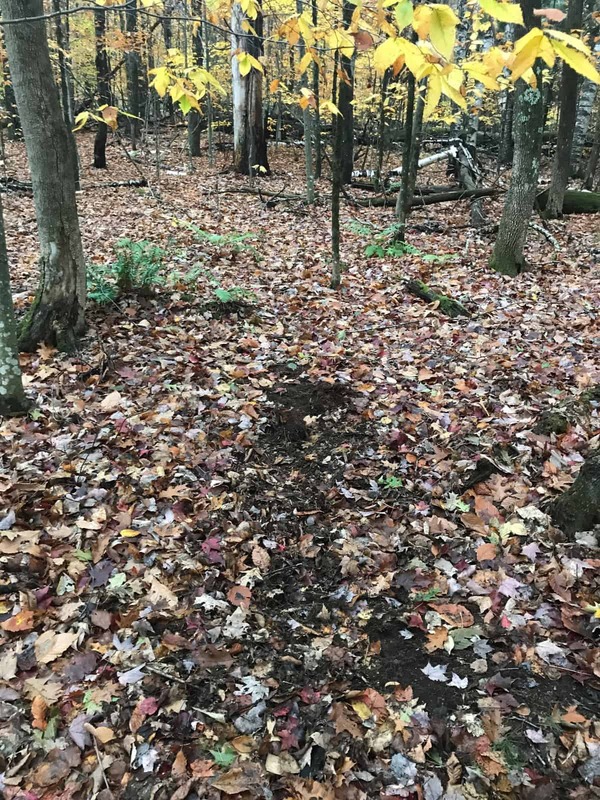 New Hampshire Hunting Season Update #3 - Redefining Success - the4pointer.com | Real Hunts. Unreal Stories. I have more trail camera pictures of bucks this year than I ever have before. Perhaps it’s an above average year, or perhaps I stumbled onto an area where the bucks have always been. Either way, I know where I’ll be on opening day of muzzleloader season in New Hampshire this Saturday. I stumbled onto this area last year but didn’t place any cameras for fear they would get stolen. I spent a lot of time there last fall, and although I never saw a buck, my intuition kept telling me I was in the right spot. I’ve fallen for my intuition before, but this year my curiosity overruled my caution and I set up three cameras, each about 200 yards apart. My reward was lots of great pictures and new information that instilled enough confidence in me that I know I should continue hunting this area. I learned that the bucks definitely move through the area in the daylight, although it’s very sporadic. I think it’s safe to blame the sporadic movement on the abundance of feed in the area. 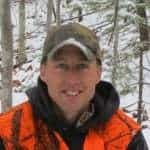 It would be especially helpful to me if the bucks decided to move at the same time each day (preferably during legal light), so I could plan my hunts better, but so far I’ve been there when they haven’t and they’ve been there when I haven’t. As you know, my wife and I welcomed Oliver into our lives almost three weeks ago. He is not woods ready yet, which has cut into my hunting time, as well as this nasty cough/congestion/death disease I’ve been dealing with since before he was born. Those things together have really cut into my woods time. Add the warm weather with an abundance of food and the odds couldn’t be stacked anymore against me. I can’t complain, though, because I did have an opportunity at “The Big Six With No Browtines That Frequently Visits My Cameras When I’m Not There” (TBSWNBTFVMCWINT for short). Our meeting was brief, but memorable. He is the only deer I’ve seen while hunting. The evening before Oliver was born, there was a spikehorn by my stand in thirty minutes before dark. I was planning to hunt that evening, but plans changed. Oliver can get credited with saving the life of that dude. Recently, a new buck, one of those “corkers” us hunters dream about, was under my stand right at the end of legal hunting light. He’s big. Bronchitis and Oliver can share the credit for sparing his life, or at least an opportunity for me to shoot him. I have some good videos of him, but he’ll remain anonymous for now. I’d hate to jinx myself. That sums up my archery pursuits to date. I never get out as much as I would like to, but then again, who does? I often find myself wondering what kind of success I would have if I could devote a full week to hunting. Every morning, every evening for a week straight. Based on my trail camera pictures alone, I know I’d have had some opportunities by now if I could do that, and at least one at a great deer. It is difficult to redefine success, or perhaps admit that your definition of it is wrong. It doesn’t have to be measured by the number or size of deer I shoot. This year I am learning, albeit slowly, that the better way of looking at it to just be thankful for the opportunities I have had and will have in the future, even if they are fewer than I would like. Is it not incredible that we even have the opportunity to hunt? To strain our ears for the sound of footsteps in frosty leaves, or the scan the woods for movement on a drizzly day? To watch the sun rise over a distant hill, casting golden shadows through the fall leaves? To be out with friends and family making memories together? What a blessing. 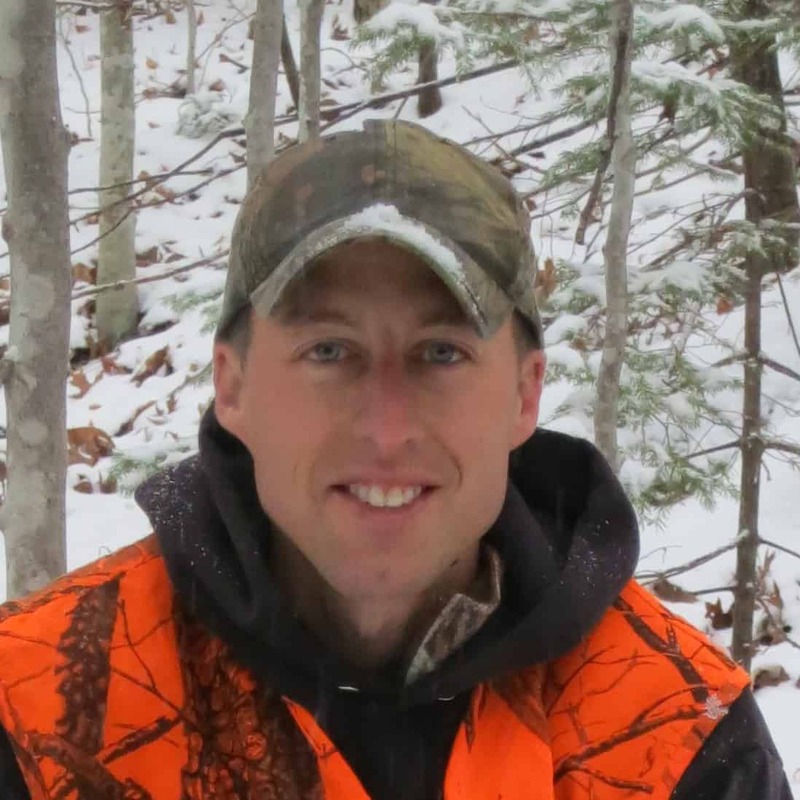 Tomorrow marks the opening day of Muzzleloader in New Hampshire. I have plans to be out at first light, stationed near the big oak that towers over one of the many stonewalls in the area. I found a fresh scrape twenty yards from it a few days ago, and I’m hoping one of the many bucks will take some time to come check it out. The oak also happens to be on a popular escape route for deer that get kicked around by hunters. A few years ago, I filled my rifle tag on a fawn that pulled the ole switcheroo with one or the larger deer in trotting past me. Here’s hoping that the weight of the deer I shoot tomorrow exceeds the cost of the muzzleloader license. One can hope. 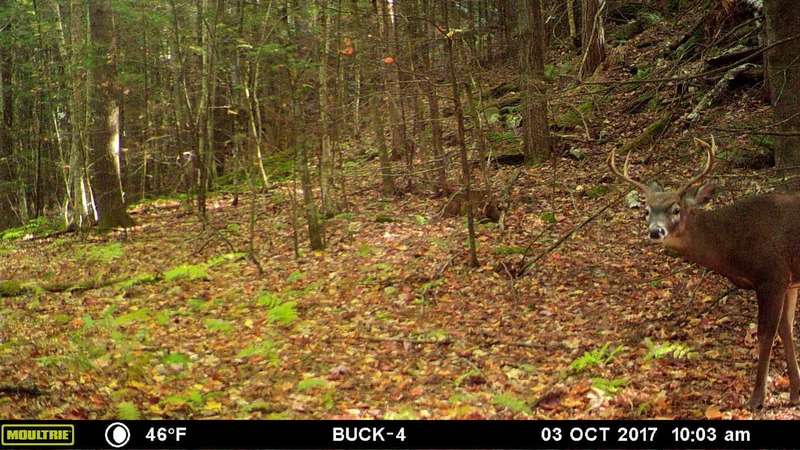 Good luck to all of you participating in Vermont’s archery season or New Hampshire’s Muzzleloader season tomorrow! The weather looks great! A nice, crisp morning is in the forecast….maybe a little smoke as well. Sunday is going to be wet for sure. A big tarp is not a bad idea…good luck to you!